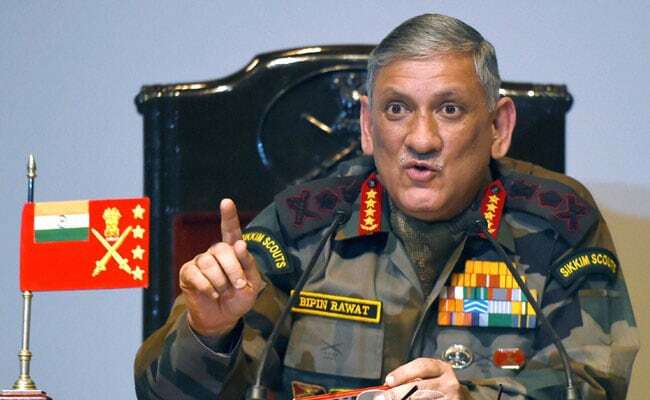 New Delhi: Indian troops have stopped attempts by Chinese engineering teams to build a road near the border town of Tuting in Arunachal Pradesh and the "incident" has been resolved, Indian Army chief General Bipin Rawat told reporters in New Delhi today. General Rawat said a meeting of the border personnel from the two sides two days ago had resolved the issue. "The Tuting incident has been resolved," he said. The army chief said the number of Chinese troops in Doklam plateau in the Sikkim sector has reduced considerably. People familiar with the matter in the government have said Chinese road-building teams entered one kilometre inside Indian territory in Tuting, adding they had come for track alignment activities, news agency Press Trust of India reported. After Indian troops confronted them, the Chinese teams returned to their side, leaving behind road-building equipment including excavators, the people said. The Tuting incident happened five months after China and India agreed to end a lengthy standoff at the Sikkim border that began in June last year, with Beijing abandoning plans to construct a road that had triggered the crisis. The standoff began in mid-June after Chinese troops started building a road on the Doklam plateau. Indian soldiers rushed to stop that, triggering the worst military tension in decades with China. In June, Indian soldiers crossed the Sikkim border to stop China from constructing a road in the Doklam plateau. Bhutan has no diplomatic relations with China and asked India to intervene. Delhi also stressed that it had forewarned China that the road would be seen as a serious security concern because of the access it opens up to the narrow sliver of land called the "Chicken's Neck" that links India to its north-eastern states.